The British government is talking war with Russia over a mysterious incident that is claimed to have taken place on Sunday March 4, just a few kilometres from the secrecy shrouded British biological and chemical warfare research and development facility at Porton Down in Wiltshire. I say claimed since we have very little information confirming what exactly took place outside of government statements and we have seen no photographs of the alleged victims in their hospital beds to convince us that the alleged victims did fall ill and are being treated. However, let us assume that the incident as described did take place. The mystery consists in the fact that the victims, former Russian colonel of military intelligence, Sergei Skripal, and his daughter, were not under any known threat from Russia. Skripal was charged and convicted in Russia in 2006 of being an asset of the British Secret Intelligence Service, MI6, and handing over secret information to the British. He was jailed, but in a spy swap in 2010 was pardoned and allowed to leave Russia for Vienna, then Britain, where he has been living ever since. Why he was pardoned is difficult to determine, unless it was necessary legally to effect the swap with the British. In any even the Russians had washed their hands of him but it seems the British had other uses for him, as their expendable man for a provocation against Russia. The facts as the British government states them are that Skripal and his daughter, visiting from Russia, met for lunch in Salisbury, the town outside of which Porton Down is located. The purpose of the daughter’s visit is not known. According to ever changing media accounts witnesses in a restaurant reported that Skripal appeared to be agitated and angry and left in that state with his daughter following. Agitated and angry about what we do not know. Half an hour later it is said that the two of them were found slumped over on a public bench. Some early media accounts state that it was thought they had taken too much fentanyl and were vomiting and that their illness may have been self-induced. But very quickly the British government claimed that they had been poisoned by some chemical or nerve agent and immediately cast the blame on Russia though the investigation had just begun. The incident was immediately taken out of the hands of the local police and handed over to the Counter-Terrorism Police, formerly known as Special Branch, though the government refused to call it a terrorist incident. A meeting of the British government high-level emergency committee, Cobra, was called. Why this was done for what appears to be an assault or attempted murder or a self-induced accident is a good question. But the answer lies in the immediate propaganda campaign mounted in the British press against Russia. Yet, the British media published on Thursday a photograph of a police officer who they say attended the scene and who they claim was made ill and placed in intensive care but is now stable and recovering. The two stories do not add up, as it would seem the doctor was in closer physical contact with the two victims than the police officer yet the doctor has suffered no symptoms at all. To add to the mystery the British government refuses to name the alleged nerve agent. To create more drama the British Home Secretary, Amber Rudd, stated that it was not Sarin or VX but something “very rare.” I think we can expect that they will choose the right dramatic moment to name something and state that only Russian labs can make it. That is their modus operandi. They certainly do not want to state that VX was involved since VX was developed in 1952 at Porton Down near the sight of the incident; for that would lead to necessary investigations into security at that facility and whether personnel there were involved. However, despite the fact that Porton Down is in the business of manufacturing chemical warfare agents including nerve agents and that logic would dictate that the Porton Down authorities would be barred from being investigators into a case in which they could be involved the British government immediately assigned Porton Down to identify the substance that might have been used. That the Russians may be correct that this incident is another NATO arranged provocation must be seriously considered. Despite the fact there is no evidence whatsoever that Russia had anything to do with this incident, the British government was quick to label Russia as the villain of the piece and the mass media dutifully acted in lock step and put out the word. Boris Johnson called Russia a “malign and disruptive force’ and made threats about pulling the UK out of the World Cup to be held in Russia this year. The attempts by the NATO alliance to throw Russia out of the Olympics on trumped up doping charges were largely successful and now we see another attempt to disrupt a sports event that is important to world football fans and to Russia. Johnson added that Britain would act “robustly’ of Moscow is found to be involved. The Russian embassy in London stated the allegations of Russian involvement are untrue and that the “script of yet another anti-Russian campaign has already been written.” It seems so and the script has some pages to run yet. One has to wonder what the role of the British intelligence services is in this for the BBC also reports that Skripal still kept the company of British intelligence agents. So one has to ask, for what reason? What was his continuing role as an asset of MI6? What was their role on that day? But that line of inquiry will not be followed. All the British media are linking this incident to the case of Alexander Litvinenko, another Russian who was supposedly poisoned with radioactive tea. Evidence that cronies of his were involved were ignored in favour the line that Russia was behind it though no evidence has ever been put forward to support that claim. They are also making the claim that this “very rare” substance must be from a state military stockpile, so the statements to come from the British government can be predicted. This incident has echoes of the case of Georgi Markov, the Bulgarian dissident killed in London in 1978 by a ricin pellet injected into his leg by means of an umbrella it was said, though it was no doubt done with an air pistol. That murder was quickly blamed on the KGB and Bulgarian government agents but there is evidence that in fact the murder was arranged by MI6 as was the murder of media magnate Robert Maxwell in 1991, who had documents relating to the Markov murder in his possession, according sources such as Richard Cottrell in his book Gladio and accounts by former British intelligence agent Gordon Logan. The Skripal incident also brings to mind the death of Dr. David Kelly in 2003 whose mysterious death in woods near his home, was officially attributed to “suicide.” He is thought by many to have been assassinated by the British secret services and CIA to keep him from revealing secrets about the war in Iraq. He worked at Porton Down as head of microbiology. 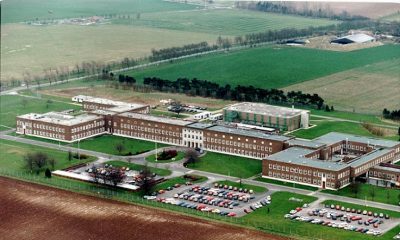 He in turn is connected to other scientists at Porton Down who have died under questionable circumstances, for instance, Dr. Richard Holmes, whose body was found in the same woods as Dr. Kelly, in 2012, two days after going for a walk, and one month after resigning from Porton Down, and to Vladimir Pasechnik’s death in November 2001, another Russian defector, who allegedly died of a stroke. His death was not announced until a month later and by British intelligence. Dr. Kelly had been involved in his debriefing when he left Russia. Sir Edward Leigh, a member of the Parliamentary Defence Committee, in the British Parliament stated, “the circumstantial evidence against Russia is very strong. Who else would have the motive and the means?” The answer to that of course is that the British government has the motive and the means. What would Russia benefit from harming a has-been like Skripal and causing all this fuss? None. What benefit does Britain have and NATO? The answer again is provided by Sir Richard who went on to state “The only way to preserve peace is through strength,” carefully echoing Trump’s foreign policy. He continued, “and if Russia is behind this, this is a brazen act of war, of humiliating our country and defence is the first duty and spending 2% of the budget on defence is not enough.” There is the motive right there. To justify an increase on defence spending and to hit Russia yet again with propaganda warfare to justify NATO’s continuing aggression against Russia. Russia has volunteered to cooperate in the “investigation” but to what end? The script is already written, the drama will unfold, the consequences will flow and they will lead not to peace and cooperation but to more hostility and war.